Top Gear is at it again. 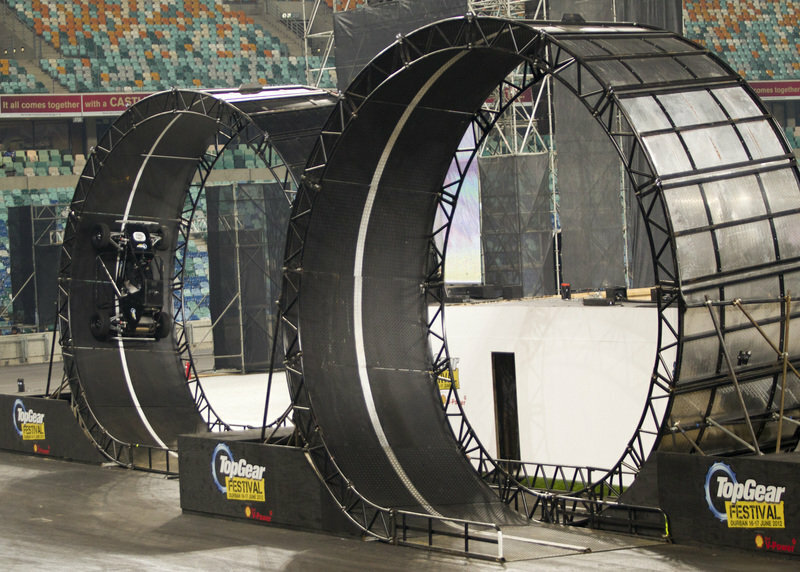 If you don’t remember, several months back they brought us the “Deadly 720” – the world’s first ever double loop completed by a car. Well, Guinness was on location and awarded Top Gear the “official” world record for the stunt. Apparently that world record combined with their latest record for being the most widely watched factual TV show are not enough, as the Top Gear boys, fresh off of a new contract, are bringing back the “Deadly 720.” This time around they will add in a new element to the double loop, allowing them to set yet another record, according to Top Gear’s creative director Rowland French. We’re not too sure what this new addition will be, but we’re sure it’ll be interesting nonetheless. The record will be attempted at the Top Gear Live show taking place at the Birmingham NEC from October 25th through the 28th. We’re sure there will be plenty of hints and clues in the coming weeks, so we’ll bring you up to date with each update. Click past the jump to read Top Gear’s press release. British fans will not only get their chance to see the record breaking ‘Deadly 720’ stunt at this month’s Top Gear Live (Birmingham’s NEC 25-28 October), they will become the first audience to witness a very unique twist on the stunt – and possibly a new World Record. Widely regarded as one of the most daring feats ever attempted on four wheels, Deadly 720 has been officially recognised as the ‘First Double Loop by a Car’ by Guinness World Records. 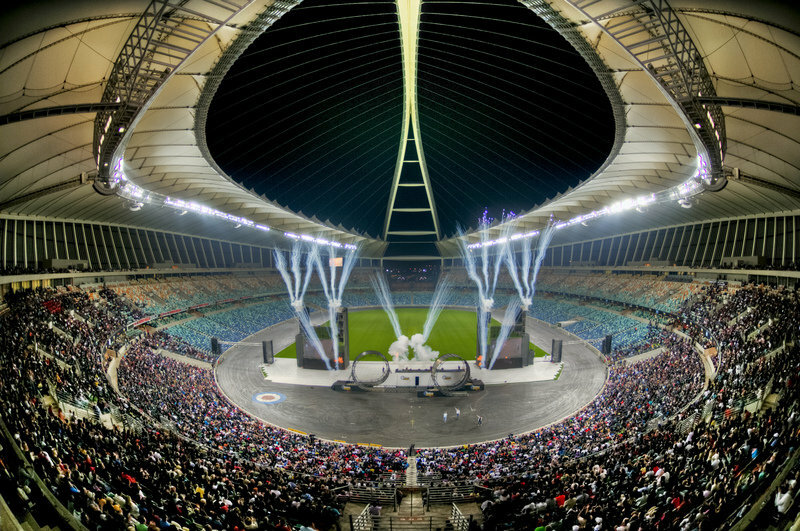 The internationally renowned Top Gear Stunt Team first performed the history-making back-to-back loops in front of massive sell-out stadium crowds totalling 68,000 in South Africa in June. Now the spectacular act will be one of the dazzling highlights included in next month’s theatrical Arena Show to be hosted by Jeremy Clarkson, Richard Hammond and James May at the NEC. What’s more – and adding to the intrigue and anticipation – Top Gear Live Creative Director Rowland French is promising those at the NEC a dramatic new twist and, perhaps, even yet another awe-inspiring World Record. 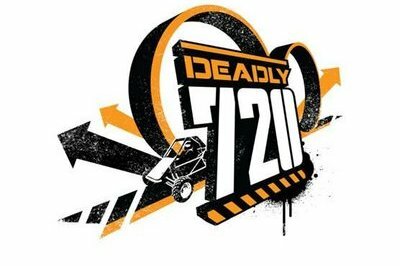 Those wanting to witness the amazing Deadly 720 can book tickets from the official topgearlive.co.uk website or by calling 0871 230 5588. Adult admission prices start from just £49*. With many schools on half-term at the end of October, a ‘Kids Go Free’ promotion is available for accompanied children (aged between 5 and 15 years old) on Thursday and Friday, while special ‘Family Tickets’ are on offer for both Saturday and Sunday. Full details of all Top Gear Live tickets can be found on the topgearlive.co.uk website.